But... You're a Horse is a love story and a duel game. 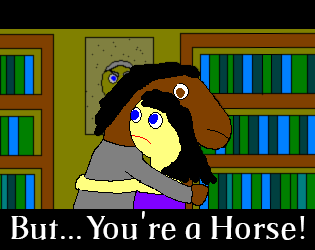 As the loyal horse of Lord Henry, you have a secret affair with his wife. The lord finds it out and you need to duel him, pressing the right key at the countdown's end.